Welcome to Gemma and Robbie's photo gallery. Browse through the images, share and order prints. This image gallery is connected with a premium photo printing laboratory in the USA. Press BUY PHOTOS button on any page to make an order. You can choose from several types of paper and size, including Canvas, Standard photo paper and Art mounts. The quality of the prints is superior in comparison with the local bulk printers like Harvey Norman, Officeworks and Kmart. 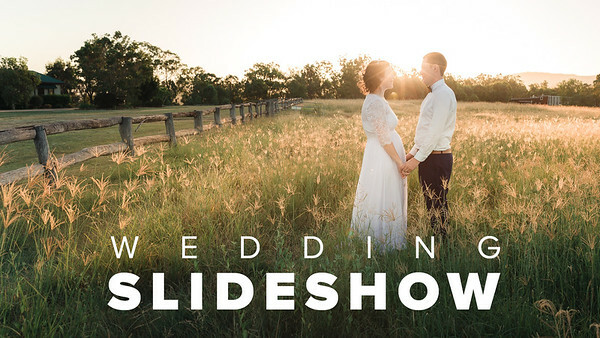 Gemma and Robbie got married amongst the rolling hills and lush bushland of Spicers Hidden Vale. After an intimate ceremony, the newlyweds had a photo session with breathtaking natural views and a golden sunset. The couple celebrated their new life together with their families in a rustic barn wedding.